This is not just the final shot in terms of my coverage of the event, but literally the event’s “final shot” – below is the group photograph that we took at the conclusion of the 2010 Professional Wine Writers Symposium, with the attendees, speakers, and panel members lined up outside of the conference area at the posh Meadowood resort. I’m pretty sure that the photo was taken by the uber-talented Steven Rothfeld, which probably explains why it makes a crowd of people that includes disreputables like me, Alfonso Cevola, “Papa” Charlie Olken, Steve Heimoff, and Alder Yarrow look respectable. Well, that and the majority of attendees and speakers who are all actually respectable. 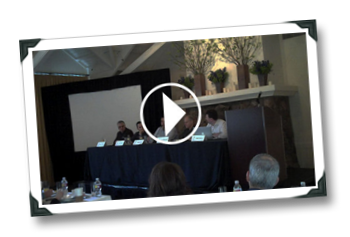 This week, Alder Yarrow posted video coverage of the Wine Writing & Social Media panel discussion that he moderated at the most recent Wine Writers Symposium held in Napa. I was fortunate to have attended the Symposium and to have sat in on the panel that Alder moderated. It’s great to have the video captured for posterity, and in hindsight I’m not sure whether to laugh or to cry at the state of wine writing and its monetization possibilities. In summary, there have probably never been so many challenges combined with so many potential opportunities when it comes to writing about wine and making any money while doing it. The challenge is that, as we said in the panel discussion, “the genie is out of the bag” when it comes to free content and wine: people expect to be able to get high quality content about wine on the Internet, and pay nothing for it. This is putting severe downward pressure on wine writing payment in general. The opportunity is that the market for consuming information about wine has never been larger, and the price of entry is free, for now. Personally, I fully expect that market to become saturated, after which it will become expensive to enter, and it won’t expand again for probably ten years. If you want the details on that, well, you’re gonna have to watch my not-so-pretty face on the video! Actually, fellow panelists Doug Cook, Steve Heimoff, and Patrick Comiskey make the video well worthwhile despite my inappropriately timed humor. Would love to know your thoughts on this – please check out the video, and shout out in the comments; where is the future of wine writing and its monetization going? To hell in a hand basket? Or soaring to new heights? 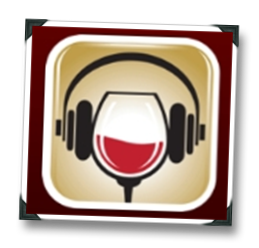 Last week, I had the pleasure of being the guest on WineBizRadio, the great Sonoma-based wine business radio program with which most of you savvy readers will already be familiar. I always enjoy riffing with show hosts Kaz and Randy, and I had a fantastic time discussing the recent Wine Writers Symposium (Facebook fan page), Premiere Napa Valley, and “the-wine-life-in-general” (by which I mean wine writing and, more specifically, the inability to make a decent living wage while writing about wine). Except for that “my voice always sounds more nasally and higher pitched when I hear it on the radio” thing. Anyway, I thought it would be a fun way to wrap up the coverage on the Wine Writers Symposium and the craziness of PNV (although I’m sure it’s not actually getting wrapped up totally… I’ve got tons I could talk about from those events…).